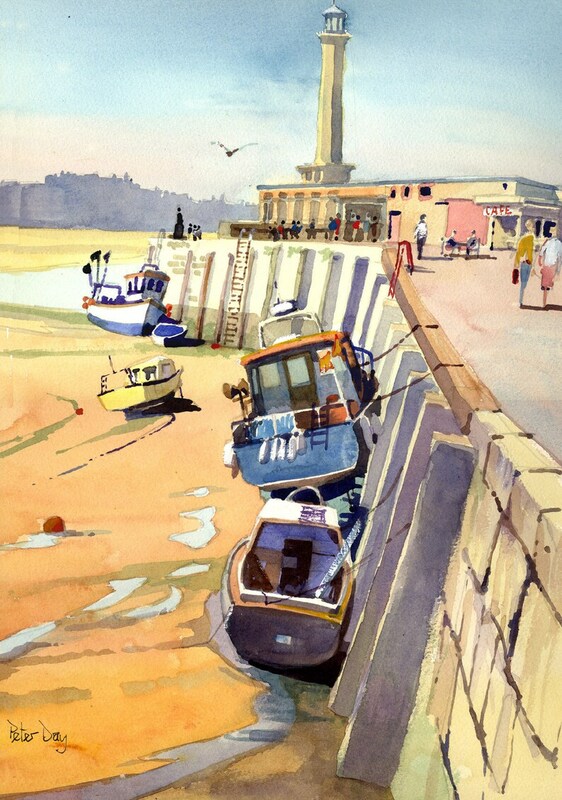 This watercolour was painted on site at the end of the stone jetty, Margate on a really hot June Day. (Yes we do get them occasionally). I tricky one this because the tide cimes in quickly and as soon as it does the fishing boat at the end of the quay quickly sets sail and disappears! Moored boats and of course the lighthouse are a must with this scene. 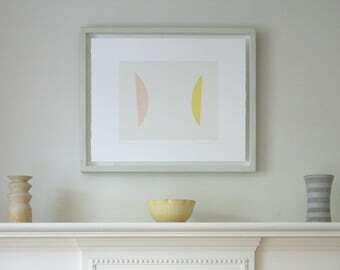 This watercolour was painted with top quality, non-fade artists paints on heavyweight rag paper. Broadstairs, Kent. Septermber Mists, North Foreland.